FRA Co-founder Gordon T. Long is joined by Professor Michael Hudson in discussing his concept of the FIRE economy and its influence on the production and consumption economy, along with some of his writings. 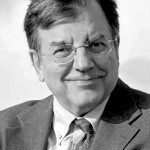 Michael Hudson is President of The Institute for the Study of Long-Term Economic Trends (ISLET), a Wall Street Financial Analyst, Distinguished Research Professor of Economics at the University of Missouri, Kansas City and author of Killing the Host (2015), The Bubble and Beyond (2012), Super-Imperialism: The Economic Strategy of American Empire (1968 & 2003), Trade, Development and Foreign Debt (1992 & 2009) and of The Myth of Aid (1971), amongst many others. ISLET engages in research regarding domestic and international finance, national income and balance-sheet accounting with regard to real estate, and the economic history of the ancient Near East. Michael acts as an economic advisor to governments worldwide including Iceland, Latvia and China on finance and tax law. FIRE is an acronym to the Finance, Insurance, and Real Estate sector. Basically that sector is all about assets, not production and consumption. Most people think of the economy as being producers making goods and services and paying labor to produce them, and then labor is going to buy the goods and services. But this production and consumption is rife in the asset economy of who owns assets and who owns other things. The Finance, Insurance, and Real Estate sector is dominated by finance. For instance, 70-80% of bank loans in North America and Europe are mortgage loans against real estate. The only way of buying a home or commercial real estate is on credit, so the loan to value ratio goes up steadily, banks lend more to the real estate sector, and real estate is worth whatever banks are willing to lend against it. As banks loosen credit terms, lower interest rates, take lower down payments and basically lower amortization rates, interest only loans, they’re going to lend more hand more against property. A financialized economy is a debt leveraged economy, whether it’s real estate or insurance or just living, and debt leveraging means a larger portion of assets are represented by debt, raising debt-equity ratios, but also that more and more of people’s incomes and tax revenue is paid to creditors. So there’s a flow of revenue from the production and consumption economy into the financial sector. There’s a huge amount of gross savings, about 18-19% of the US economy, coded in part in debt. The savings that are lent out to borrowers are debt. So you have the 1% lending out their savings to the 99%, but the gross savings are higher. “The IMF has this Austrian theory that pretends money began as barter and capitalism operates on barter, and this is a disinformation campaign. This is a very modern theory that is basically used to say “oh, debt is bad”, an what they really mean is that public debt is bad, the government shouldn’t create money or deficit, and you should leave it all to the banks who should somehow run off debt and in-debt the economy”. “You can usually ignore just about everything the IMF says, and if you understand money you’re not going to be hired by the IMF. They impose austerity programs that they call “stabilization programs” that are actually destabilization programs, almost wherever they’re imposed. The result will be austerity programs making the budget deficit even worse. The successful era of monetarism is to force countries to have self-defeating policies that end up having to privatize their natural resources, public domain, public enterprise, their communications and transportation, and sell it off. Everything that the classical economists saw and argued for – public investment, bringing costs in line with the actual cost of production – that’s all rejected in favor of a rentier class evolving into an oligarchy. Financiers in the 1% are going to pry away the public domain from the government and privatize it so that they get all of the revenue for themselves. It’s all sucked up to the top of the pyramid, impoverishing the 99%. Finance has taken over the industrial economy. Instead of banks evolving from usurious organizations that leant to governments, finance was going to be industrialized. They were going to mobilize savings and flow it back into financing the means of production, starting with heavy industry. In Germany in the late 19th century, banks worked with government and industry in a kind of triangular process. But that’s not what’s happening now. After WW1 and especially after WW2, finance reverted to its pre-industrial form and instead of allying themselves with industry, they allied with real estate and monopolies because they realized they can make more money off real estate. You had David Ricardo arguing against the landed interest in 1817. Now the banks are all in favor of supporting land rent, knowing that today people can buy and sell property, renters are paying interests, and they’re going to get all of the rent. Instead of the circular flow between producers and consumers, you have more and more of this flow being diverted to pay interest and insurance and rent. In other words, to pay the FIRE sector, most of which is owned by the 1%. The agency is active politicking by the financial interests and the lobbyists on Wall Street to obtain all of the growth of income and wealth for themselves, and that’s what happened in America and Canada since the late 1970s. What all the billionaires and heavy investors do is they’re simply trying to preserve their wealth. They’re not trying to make money, they’re not trying to speculate, and if you’re an investor you’re not going to outsmart the billionaires because the markets are basically fixed. It’s the George Soros principle. You have to be able to control the prices and you have the insiders making money but the investors are not going to make money. The Canadians don’t buy stocks until they’re up at the very top and then they lose all the money, and finally when the market’s all the way at the bottom the Canadians begin selling because they can see a trend, and then they miss the upswing. “It begins as a dictionary of terms just so I can provide people with a vocabulary. The vocabulary that is taught to students today, used by the mass media and government spokesmen, is basically a set of euphemisms. Almost all the words we get are kind of euphemisms to conceal the actual dynamics that’s happening. For instance, “business cycles”. Nobody in the 19th century used “business cycle”. They spoke about “crashes”. They know that things go up slowly and then plunge very quickly. It was a crash, not the sine curve you have in Josef Schachter’s business cycle. A cycle is something that is automatic, and if it’s a cycle then you’d think “oh, okay, everything that goes up will come down and everything that goes down will come up, just wait your turn.” And that means you should be passive. That is the opposite of everything that’s said in classical economics in the progressive era, when they realized that economies don’t recover by themselves”. This idea of the business cycle analysis is, somehow you leave out the whole role of government. If you look at neoliberal and Austrian theory, there’s no role of government spending or public investment. And the whole argument of privatization, for instance, is the opposite of what was taught in American business schools in the 19th century. The first professor of economics at the Wharton School of Business, Simon Patten, said public infrastructure is a fourth factor of production but its role isn’t to make a profit. It’s to lower the cost of public services and basic inputs to lower the cost of living and cost of doing business to make the economy more competitive. We’re going into a debt deflation and the key is to look at debt. If the economy has to spend more and more money, then the reason he economy isn’t recovering isn’t simply because this is a normal cycle. Markets are shrinking, so real estate rents are shrinking, and profits are shrinking. Instead of using earnings to reinvest, hire more labor to increase production, companies are using their earnings for stock buybacks and dividend payouts to raise the share price so that the managers can take their revenue in the form of bonuses and stocks and live in the short run. The financialization of companies is the reverse of everything classical economists were saying. They can get wrap themselves in this cloak of classical economics by dropping history of economic thought from the curriculum. Following the banks and the Austrian school of the banks’ philosophy, that’s the road to serfdom. That’s the road to debt serfdom.